Early Reflections EP I by No. Inc. The first 12 Inch from No. Inc.
"No. Inc." are Material Object and Atom™. When both artists decided to launch their "No." label imprint in 2013, a musical statement was created that would encapsulate the spirit of their endeavour. The full length album was entitled "Early Reflections" and musically explores the realm loosely labeled "ambient", a style both artists have elaborated independently throughout the last decades. "Early Reflections" contains 7 movements, all of which draw a very unique selection of vistas, from abstract to classic drones and beyond. "Early Reflections" outlines the path for their "No." imprint by opening up a vast variety of moods and emotions. 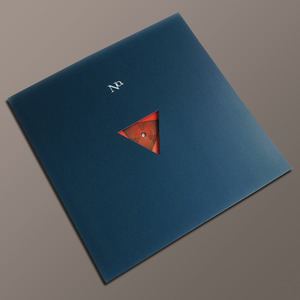 The 12" Vinyl edition of the EP is pressed on 180 gram stock and comes in a deluxe custom cover.